A lot of water coming down the river right now. Pretty big flows today, 1,200 cfs here in the Hirsch, and of course higher the lower you go down the river. Not the best flows, kinda high, fish can be caught, but if you don’t know the river too well, if will be tough. I’m sure it will come back down in a few, but it should still stay relatively high. The river has been right near 800 cfs for a good couple of weeks now. 800 cubes is high, so 1,200 is very high. That being said, we had a very productive week- last week. Lot’s of big fish were caught on streamers and nymphs. It really was one of the better weeks we’ve had in a long time on the river. 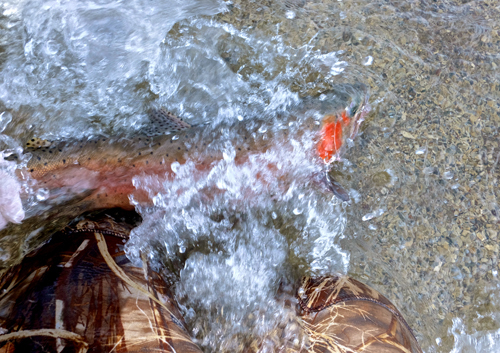 Big flows= big fish. 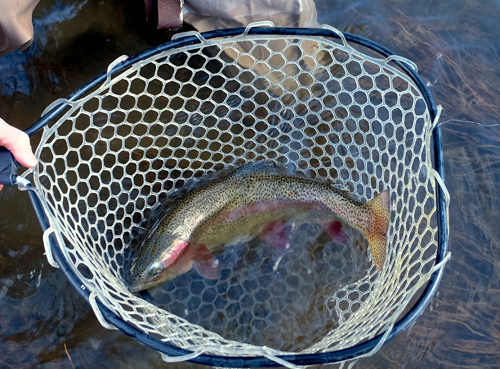 Find some slack water near the edges and nymph up on them, or run a streamer through those same spots. Pro tip of the day: Place that same streamer on a bottom of a tight line rig, or under an indo. Lot’s of bugs out, but don’t expect any sort of dry fly fishing until the flows drop, which ain’t going to happen anytime soon. You will have to learn to fish in the bigger water. 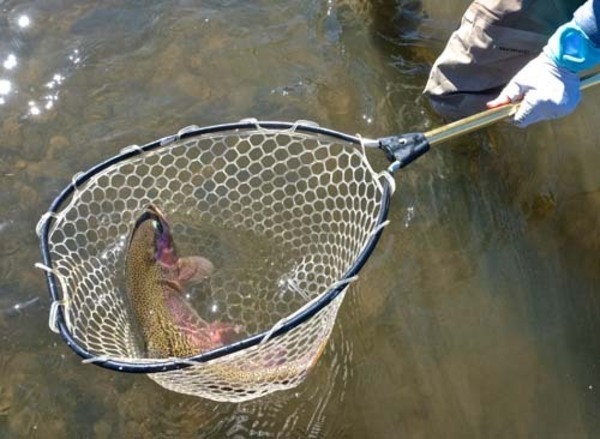 Remember, the Truckee River is a pretty big river, and you should expect the river to be un-fishable at times this spring because of run-off. Spring is kinda big fish time. You may not fair well, get a few grabs throughout the day, but it really is a good time for the bigger fish.